The Batman theme of Lego sets is what brought me back into the game. I'm in deep now and there's probably no turning back at this point. No exit and now way out. 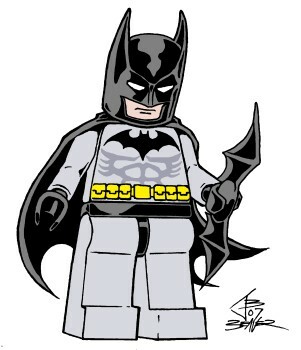 Is there a way to celebrate that than to draw the main minifig that I blame it all on? I doubt it. I still don't have the hang of drawing Lego minifigs in loose poses, but I'll keep working on that.